Over the years of putting our own children to sleep and keeping them asleep, and counseling thousands of other moms and dads on various styles of nighttime parenting, here are some time-tested, proven attitudes and techniques. Most of these are applicable to infants and toddlers of all ages. Develop a realistic attitude about nighttime parenting. Sleeping, like eating, is not a state you can force a baby into. Best you can do is to create a secure environment that allows sleep to overtake your baby. A realistic long- term goal is to help your baby develop a healthy attitude about sleep: that sleep is a pleasant state to enter and a secure state to remain in. Many sleep problems in older children and adults stem from children growing up with an unhealthy attitude about sleep—that sleep was not a pleasant state to enter and was a fearful state to remain in. Just as daytime parenting is a long-term investment, so is nighttime parenting. Teach your baby a restful attitude about sleep when they are young and both you and your children will sleep better when they are older. Beware of sleep trainers. Ever since parenting books found their way into the nursery, sleep trainers have touted magic formulas promising to get babies to sleep through the night – for a price and at a risk. Most of these sleep-training techniques are just variations of the old cry-it-out method. And technology has found its way into nighttime babycare by providing tired parents with a variety of sleep-inducing gadgets designed to lull a baby off to sleep alone in her crib: oscillating cradles, crib vibrators that mimic a car ride, and teddy bears that “breathe.” All promise to fill in for parents on night duty. Be discerning about using someone else’s method to get your baby to sleep. Before trying any sleep-inducing program, you be the judge. Run these schemes through your inner sensitivity before trying them on your baby, especially if they involve leaving your baby alone to cry. Does this advice sound sensible? Does it fit your baby’s temperament? Does it feel right to you? If your current daytime or nighttime routine is not working for you, think about what changes you can make in yourself and your lifestyle that will make it easier for you to meet your baby’s needs. This is a better approach than immediately trying to change your baby. After all, you can control your own reactions to a situation. You can’t control how your baby reacts. Use discernment about advice that promises a sleep-through-the-night more convenient baby, as these programs involve the risk of creating a distance between you and your baby and undermining the mutual trust between parent and child. On the surface, baby training sounds so liberating, but it’s a short-term gain for a long-term loss. You lose the opportunity to get to know and become an expert in your baby. Baby loses the opportunity to build trust in his caregiving environment. You cease to value your own biological cues, your judgment, and instead follow the message of someone who has no biological attachment, nor investment, in your infant. Especially in the first six months, avoid sleep trainers who advise you to let your baby “cry-it-out.” Only you can know what “it” is and how to respond appropriately to your baby. Using the rigid, insensitive “let-him-cry-it-out” method has several problems. First, it will undermine the trust your baby has for nighttime comfort. Second, it will prevent you from working at a style of nighttime parenting until you find the one that works best for you and your family and third, it may keep you and your doctor from uncovering hidden medical causes of nightwaking. Nightfeedings are normal; frequent, painful nightwaking is not. 3. Stay flexible. No single approach will work with all babies all the time or even all the time with the same baby. Don’t persist with a failing experiment. If the “sleep program” isn’t working for your family, drop it. Develop a nighttime parenting style that works for you. Babies have different nighttime temperaments and families have varied lifestyles. Keep working at a style of nighttime parenting that fits the temperament of your baby and your own lifestyle. If it’s working, stick with it. If it’s not, be open to trying other nighttime parenting styles. And, be prepared for one style of nighttime parenting to work at one stage of an infant’s life, yet need a change as she enters another stage. Be open to trying different nighttime approaches. Follow your heart rather than some stranger’s sleep-training advice, and you and your baby will eventually work out the right nighttime parenting style for your family. 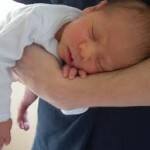 This entry was posted in Baby and tagged crib, crib vibrators, fussy baby, nightfeedings, nighttime parenting, nightwaking, nursery, oscillating cradles, parenting books, sleep trainers, sleep-inducing gadgets on June 26, 2012 by alwin.